The eurosceptic, nationalist-minded governments in Poland and Hungary have refused to take in anyone under a plan agreed by a majority of European Union (EU) leaders in 2015. 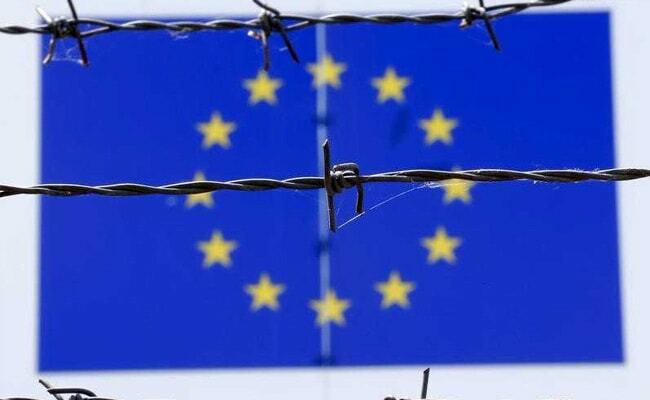 Brussels/Strasbourg: The European Commission launched a legal case on Tuesday against Poland, Hungary and the Czech Republic for refusing to take in asylum-seekers, ratcheting up a bitter feud within the 28-nation bloc about how to deal with migration. "I regret to see that despite our repeated calls to pledge to relocate, the Czech Republic, Hungary, and Poland have not yet taken the necessary action," the EU's migration chief, Dimitris Avramopoulos, told a news conference. "For this reason, the Commission has decided to launch infringement procedures against these three member states... I sincerely hope that these member states can still reconsider their position and contribute fairly." The 'infringement procedure' is a way for the EU's executive to take to task countries that fail to meet their obligations. It opens the way for months, even years, of legal wrangling before a top EU court could potentially impose financial penalties. "The Czech Republic does not agree with the system of relocation," Prime Minister Bohuslav Sobotka said in response. "With regard to the worsened security situation in Europe and dysfunctionality of the quota system, it will not participate in it." The easterners vindicate their stance on asylum seekers by citing security concerns, noting a series of militant Islamist attacks in western Europe since late 2015. The bulk of refugees come from the mainly Muslim Middle East and North Africa. They also hope their resistance to pressure from Brussels will earn them credit with eurosceptic voters at home. Wealthier EU states including Italy - now the main gateway to Europe for the refugees - have threatened to reduce generous development funds earmarked to help the easterners close the gap in living standards. The Commission's move comes ahead of an EU leaders' meeting in Brussels next week that will also seek to break the impasse, though diplomats are sceptical about their chances of success. Italy remains under pressure, but the EU treats the vast majority of the 64,000 people who made it to Italian shores from Africa this year as migrants - rather than refugees requiring legal protection - and does not plan to let them stay. The internal EU dispute over relocating asylum-seekers is largely a political one about values, as Avramopoulos stressed in his renewed appeal to the easterners. "Europe is not only about requesting funds or ensuring security. Europe is also about sharing difficult moments and challenges as well as common ideas," he said.